Dairy Exhibition and Dairy Conference will be organised during FarmTech Asia. Dairy Farming Projects, Dairy Farming Equipments, Veterinary Medicines, Veterinary Tools, Feed, Feed Additives and Other Veterinary Chemicals will be displayed during the Exhibition. During Dairy Exhibition, Dairy Farmers can purchase their required products ranging from small tools to hiring a professional organisation for Turnkey Dairy Farming Projects. Dairy Exhibition also gives an opportunity to IT Industry to display and demonstrate their softwares. Dairy Farmers will be given an opportunity to gain knowledge of High Tech Dairy Farming, Professional Dairy Farming, Integrated Dairy Farming and Dairy Processing for Improvement in Earnings. Dairy Exhibition creates a huge opportunity for the growth of Dairy Industry. Madhya Pradesh is home to around 5,00,00,000 of Livestock Population. About more than 95%, of the total livestock population, is comprised of Cattle, Buffalo, Goat, Sheep and Pig. 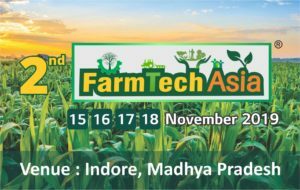 Madhya Pradesh holds a huge potential to grow its Dairy and Livestock Industry tremendously and we are sure that Dairy Exhibition during FarmTech Asia has a potential to represent the growth of the Industry. Integrated Farming is a key to next level of Farming wherein Dairy and Livestock Farming is opted by Agriculture and Horticulture Farmers as well. This Dairy Exhibition is aimed to provide knowledge regarding modern dairy farming to farmers from all over India. Companies from all States of India will take active participation during FarmTech Asia. This Mega Trade Expo will be attended by Distributors/Dealers and Traders of the Industry to look for further business opportunities. 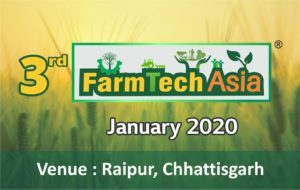 FarmTech Asia is aimed to become a platform for Strong Inter State, Intra State, National and International Business Opportunities.